Did She Say Battle Creek, Michigan? Yes, that’s exactly what Kara Sundlun said. 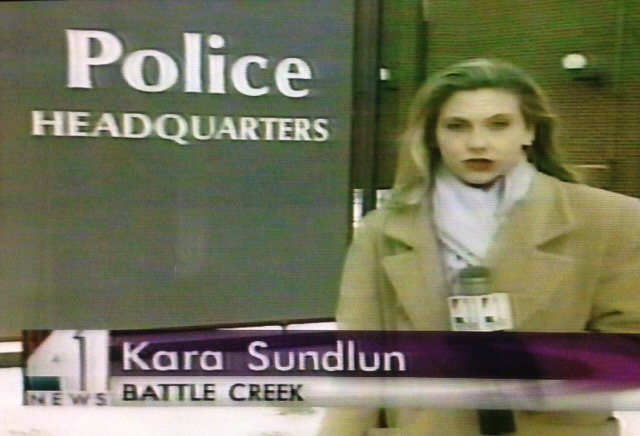 Last week on Better Connecticut, Kara was interviewing actors Josh Duhamel and Dean Winters about their new show “Battle Creek” when she mentioned she once lived there. The world of television news is a small one, an industry more like three degrees of separation than six. Both Kara and I worked in the Grand Rapids, Michigan market which also includes the cities of Kalamazoo and Battle Creek, Kara at the now defunct news operation at WOTV, the ABC station in Battle Creek. 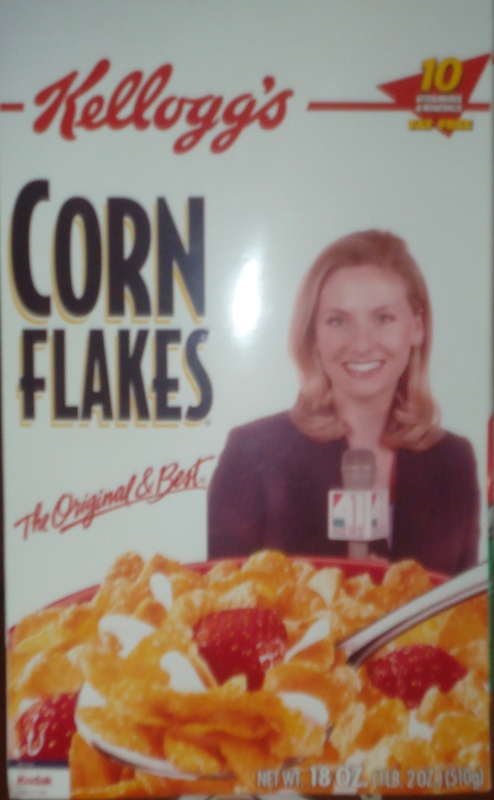 Every reporter who does a story at Kellogg’s usually gets this perk: a personalized box of Corn Flakes. This box sits on a shelf in our family room, still filled with hermetically sealed cereal from the 1990s. At least I know I’ll never go hungry if I’m ever too lazy to get off the couch. Yours truly toiled for WWMT, the Channel 3 there before I joined this Channel 3. 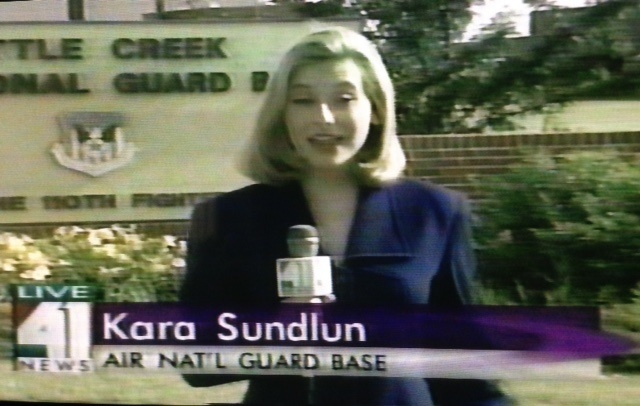 Even though Kara worked in that market too, we didn’t meet until she was hired at WFSB. 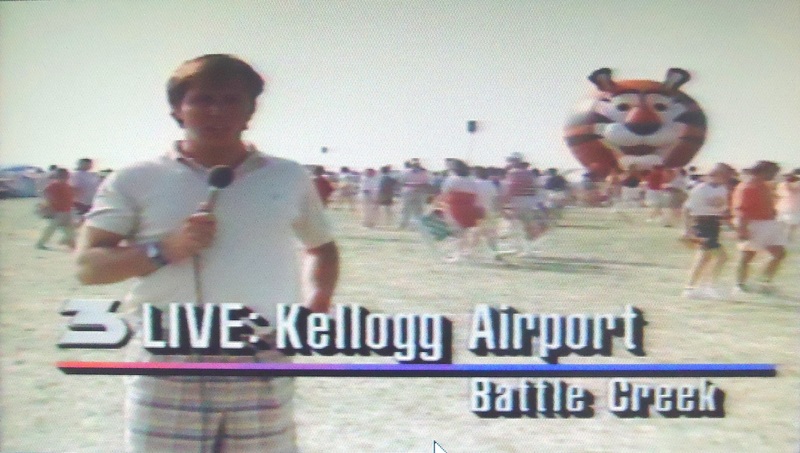 I covered my fair share of Battle Creek stories, including the murder of a news anchor (more on that another time) and lighter assignments like the annual Battle Creek Balloon Festival featuring a hot air Tony the Tiger. 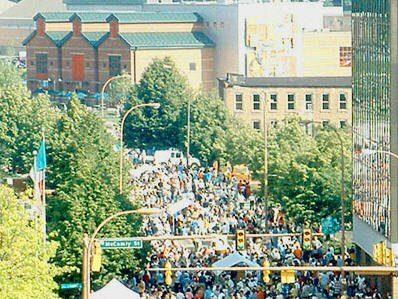 Another hard-hitting assignment was the annual “world’s biggest breakfast table,” that snakes through downtown Battle Creek. 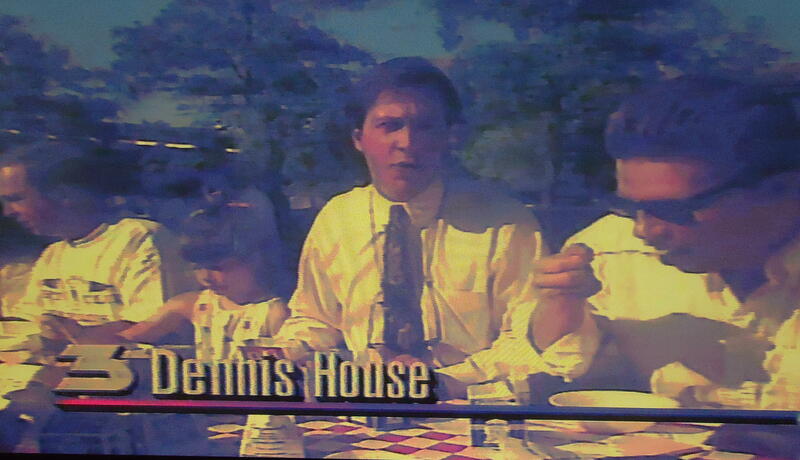 The year I covered the event one of my college roommates, Bill Doyle, was in town, and I dragged him along first thing in the morning and he sat next to me as I covered the story. 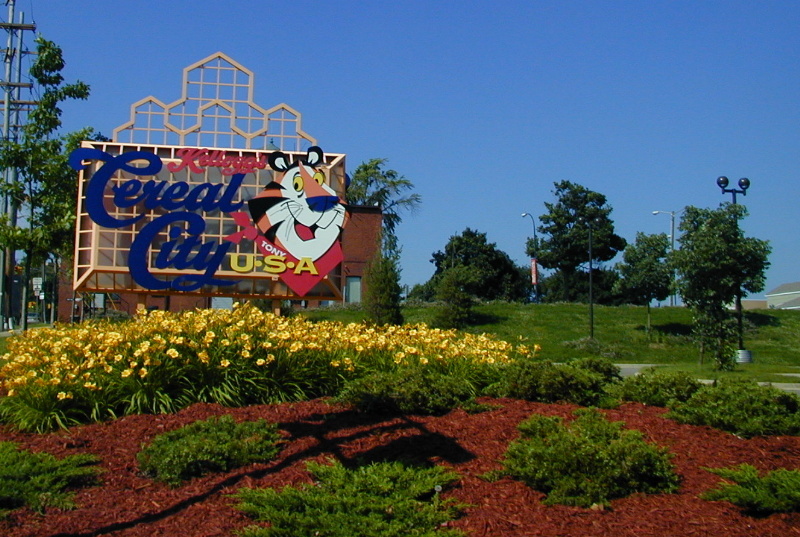 At least he got a free breakfast out of the deal and he may even have hooked up with Miss Cereal City. Thanks for the “morning history lesson” !! Wow Kara doesn’t change.She hasn’t aged.